With superior customer service, clients receive a design package tailored to meet their design style, lifestyle, and budget. I am passionate about and dedicated to creating beautiful interior spaces which reflect my client's personality and style. What I love about design is the aspect of problem solving that it involves. It is my job to find the best solutions that will look great and last while taking into account any special considerations. I also enjoy the process of listening to the client and putting into visual form the concepts that the client is dreaming of to give them a space that they can truly say reflects everything they wanted. If you are looking for a designer that listens to your design needs and creates spaces that you could only dream about, then you have come to the right place. Choose from two affordable flat rate design packages which allow for incorporating existing items into the design or starting from scratch. Design packages include a CAD drafted floor plan, 3-D renderings showing where exactly to place wall decor, concept boards (Redesign package) or mood boards (Rejuvenate package), a product specification and shopping guide, and a written summary with details on how to implement the designs into your home. After receiving a design package, clients are in charge of when they would like to implement the designs into their home or business. On your own, this process could take weeks or even months to complete, but with my services, the decisions are made and the client only need to purchase and install. It's a designer room with designer style implemented by you. Contact me for more information about the design packages. In the late 1940’s, Teddy Barrow began selling quality furniture from a string of buildings in Red Level, Alabama. Soon, the business gained quite a reputation for being “the place” to buy name brand furniture at tremendous discount and customers flocked to Red Level from all over. In 1979, Teddy sold the business to Tommy Northrop and Will Hall who over the years expanded the business to four locations in Alabama and one in Florida. At Barrow, the philosophy remains the same as when the business started…”treat every customer with integrity, give them the absolute best price possible and as a result, the customer will continue to come back, honor us with their business and tell their friends." At Barrow, we have always understood that what a company stands for is far more important than what it sells! 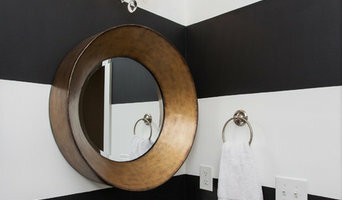 Cindy Meador Interiors is a full service interior design firm. My team is focused on realizing the clients dreams. We offer excellent service and attention to all details, whether the project is large or small. The showroom is full of exquisite furnishings as well as a studio to source and special order furnishings. 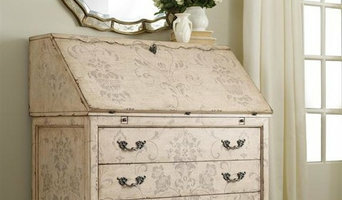 Welcome to Beachside Furniture and Interiors. Since 1998, we have been dedicated to bringing the best furniture and interior design products to the beautiful Gulf Coast. We can help you find the furniture you've been looking for and, we provide free delivery, too! With over 15,000 ft² of show rooms and new arrivals daily, you're sure to find the right furniture and accessories at the right prices. Whether you are updating your old furniture or starting fresh, we can help you select the pieces that will make your place special. Open 9:00 a.m. to 5:00 p.m. Monday - Friday and Saturdays 10:00 a.m. to 5:00 p.m.
Hollis Interiors, formerly known as Hollis Furniture, is a local family owned and operated business. Established in 1952, it was an idea, plan, and creation of our grandfather John Hollis, and father Wayne Hollis. After visiting the Gulf Coast in 1951, they decided to move to Foley and open the furniture store. They offered quality furniture at affordable prices to those in the area. Their humble beginning was serving a primarily farming community even financing in-house to display trust, hard work, and dedication in our community. In 2003, following in their grandfather's and father's footsteps, Tootsie Hollis Allen and Kelly Hollis, who were raised inside the store, took over the family business and added their specialty of interior design during a dramatic shift in the economy forcing Tootsie and Kelly to work harder than ever, taught by their father to always put the customer first and to go the extra mile doing whatever it takes to get the job completed to perfection. Hollis Interiors offers complete design services for homes and vacation homes. Working on any budget, we provide access to products that enhance the design and attention to detail and personalized service including furnishings, both new and antique, designer fabrics and home accessories. This venture offers a sense of self that our target market desires and can afford, in a way that is unique from start to finish. Working to make the world more beautiful one room at a time. I specialize in new construction specifications, but will be happy to help you with what ever your needs may be. Richtex is family owned business in Daphne Alabama. We have a hand-picked selection of exceptional decorative fabrics from several famous brands including our own. Our everyday low prices on these beautiful fabrics mean that you can save big on you special decorating project weather drapery, upholstery, bedding or slipcover. We have interior designers on staff to help you with anything you need! A good home design professional will hone your style down to its very essence and be able to choose a functional layout that feels natural to you. Interior design companies can be involved as much or as little as the client desires. Many clients who hire an interior decorator in Saraland, AL — particularly those who are remodeling — have a good sense of how the room should look and what products they should use. Often clients will insist that interior decorators use the products already present in the house. Other times a designer will need to start from scratch — especially if this is a newly purchased or just-built home. An interior design company will need to figure out exactly what the client needs, which includes organizing rooms, picking flooring and wall colors, and finding furniture to complement it all. Sometimes that means he or she will have to recruit help from other Saraland, AL home professionals to help create the perfect look for your renovation. Here are some related professionals and vendors to complement the work of interior designers & decorators: Architects & Building Designers, General Contractors, Home Builders, Design-Build Firms, Photographers. Do your research before meeting with an interior designer or home decorator in Saraland, AL. Ask yourself what you want your space to become and what it will be used for. Figure out the extent of what you need help with, what your must-haves are and what your budget is. Interior design services can add up fast, so be up front with a potential design firm or individual from the beginning. Also, pick an interior decorator that fits your style. 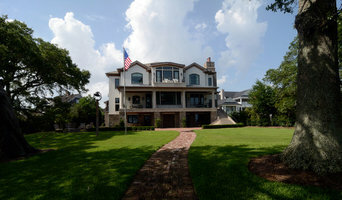 Browse through the portfolios of different Saraland interior design firms and decide if you would live in those houses. Just because you like something doesn’t mean you could live in it. There's a big difference! 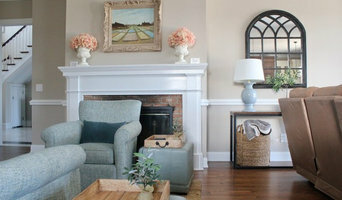 Find an interior designer or home decorator in Saraland, AL on Houzz. Narrow your search in the Professionals section to find Saraland interior designers near you. You can also look through Saraland, AL photos to find a room you like, then contact the design firm who designed it.